Jamaica was another hot and sunny day and I was met at the port by my guide for the day, Marsha. We left the port and drove downtown before arriving at the famous ‘Hip Strip’, where we made a stop at Doctor’s Cove beach. If you are ever in Montego Bay, then you MUST visit here! It was absolutely incredible – the clearest, bluest water I have ever seen in the Caribbean and the beach itself wasn’t overcrowded. We spent a short time here before moving on to the world famous Scotchies. I was somewhat apprehensive as spicy food and I don’t get on very well, but it was delicious and far from what I had expected, although I will be honest and admit that I didn’t add any of the famous sauce that is jam packed with Scotch Bonnet, I just had my chicken as it came, off the bbq. We left Scotchies behind and made the short drive to Rose Hall – also known as the Annie Palmer House. It was quite busy, but we managed to get in and have a look around. It was smaller than I had expected, but the tale behind it was one that kept you gripped with suspense. 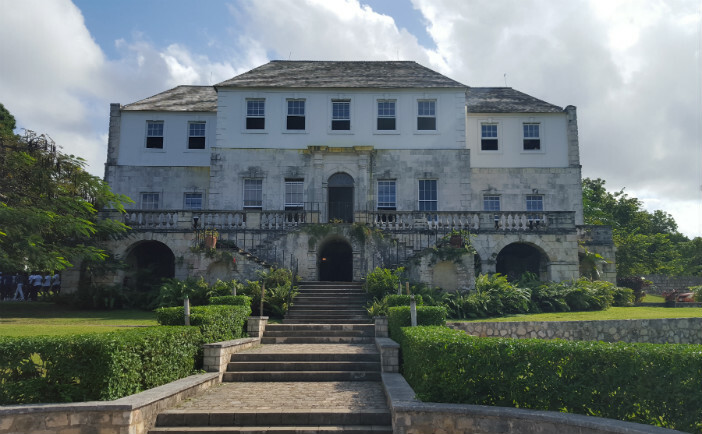 The views from the upper windows were breath-taking, you could see right down to the clear blue waters of the Caribbean Sea. 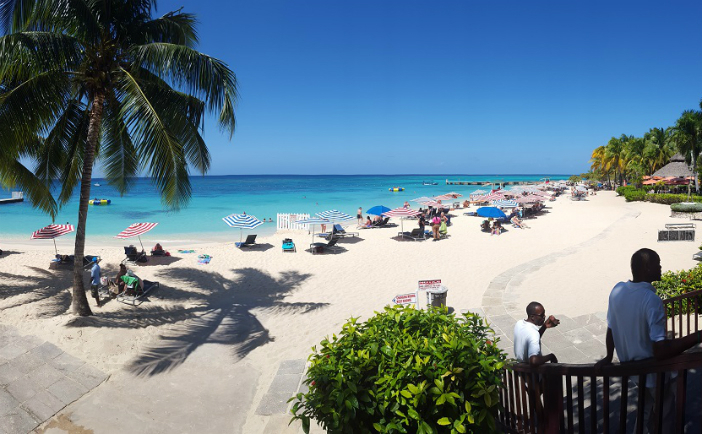 Our next port of call was Grand Cayman and I spent the day at the Marriot Grand Cayman on Seven Mile Beach. I had been counting down to my time here as I knew it was going to be a great beach day and I wasn’t disappointed. The water was crystal clear and there were several rather large fish swimming in and out of the bathers. I could have quite happily stayed there all day, but after a few hours I made my way back towards the port for dinner and some shopping. My favourite drink was by far the Mayan Sacrifice, it had notes of liquorice and really went down well, so well that I ordered another one! My favourite of all the bars was probably joint between Coconuts and Rastas. I had shrimp quesadillas at Coconuts and they were absolutely delicious! 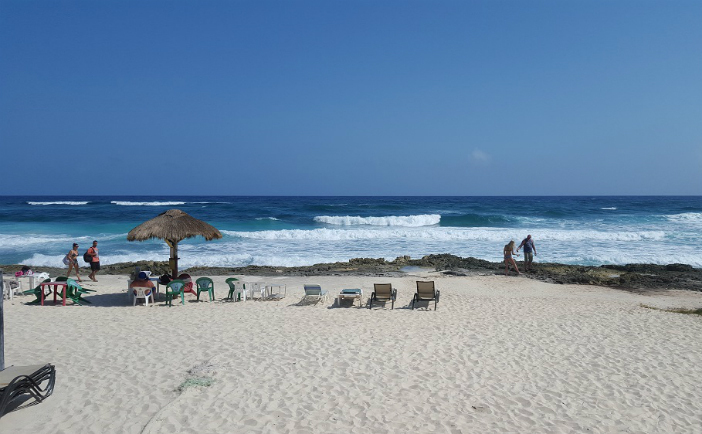 I would do the Cozumel Bar Hop again in a heartbeat, so if you are visiting anytime soon then check out the website and consider spending the day with these guys, it really is worth it! Finally, we had a much needed day at sea, I love several ports in a row, but next on our itinerary was New Orleans and I desperately needed a break before arriving there. I don’t even know where to begin with New Orleans. I was so excited to be there! 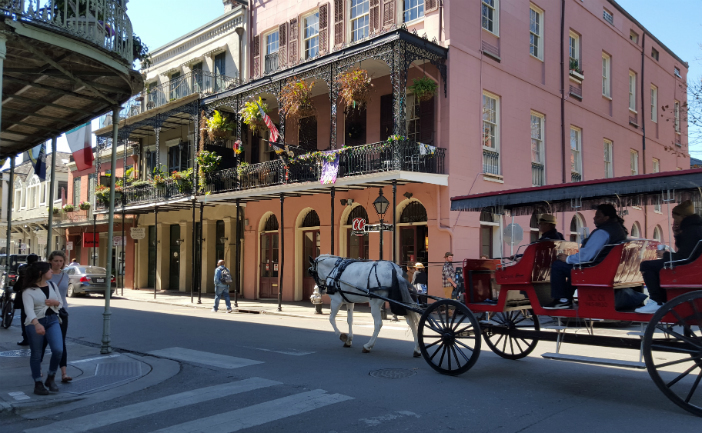 I walked to the French Quarter and explored the French Market, local stores and of course, Bourbon Street before walking back to the ship along Canal Street and then along the riverfront. It was a fantastic day, but the time seemed to just run away from me. It was also nice to just stroll and see where my feet would take me. I returned to the ship, freshened up and then jumped on the trolley bus back into the French Quarter to experience Bourbon Street in the evening. It was a fantastic night and one that I am never likely to forget! It wasn’t entirely what I had expected, but it was a lot of fun and very busy. I tried a Mardi Gras cocktail in Fat Tuesdays, the infamous Hand Grenade in Tropical Isle and the Jester at Jesters. As the early morning hours crept up on me, it was time to head back to the ship and call it a night. The following day I explored some of the Lower Garden District, I had wanted to visit the Lafayette Cemetery, but unfortunately time wasn’t on my side – so that is something to do the next time I visit. I really didn’t want to leave New Orleans, but we had other ports to explore. Next: Key West, Port Everglades, Port Canaveral and Charleston. If you are dreaming of a fabulous cruise holiday in 2016, look no further! We have a choice of great value cruises from around the world! Take a look at our main website for more details. Alternatively, give our friendly sales team a call on 0808 274 6777.